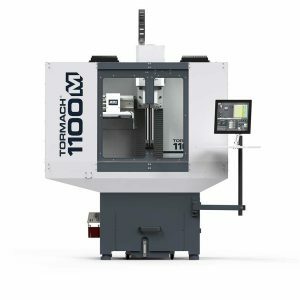 If you are starting out in the CNC world the best way to learn the basics of the environment is using a Tormach mill. By all means, they are not the most powerful machines available, but they get the job done, and they bring a certain feeling of traditionalism to the craft. Since these machines are upgraded almost every year, they also have a wide range of options to be customized and modified to fit the personal needs of the user. From adding a tool to charge them easily or to add an enhanced drawbar, you can also look to upgrade the coolant systems used in these machines to make their performance stand out for a bit longer. Using a Tormach requires two sets of basics: the first one is training. The second one is knowledgeable about the required software needed to operate the device. Since there is quite a few of them out there going over specifics can be a little tricky. The best option is to make sure about the type of tormach machine that is available to use and make the right preparations to operate it. There are still a few measures of common ground shared by all models: they can work with companion spindles and arm mounts to handle precision jobs or handling tedious tasks that can be programmed with the available software. Having your tormach updated is an entirely different matter. A quick search online will reveal a lot of sellers offering customized parts as well as factory-designed pieces that can enhance the performance in quite a number of different ways. Some of the most popular updates offered to tormach systems are racking systems. Not only do they make the devices more functional, but they also can increase the productivity of an old model. This is not a cheap upgrade though since it requires a number of parts to be modified as well as the power setting of the tormach machine itself. Other upgrades frequently discussed online for older models are cooling systems that go with the increased performance of racking systems and joystick handles to manage precision work. The cooling systems are usually visually crude but very functional. Adding devices to handle the tormach machines is closely related to accessorizing, so they tend to be more pleasant to the eye. While many believe that these type of modifications don’t add up much to the device it actually makes them quite functional on little tasks such as keeping probes and toolsets connected at the same time to keep the manufacturing process as speedy as it can be. Finally when it comes to full-on modifications or hacking the tormach machines to make them more functional the first choice is to engrave the pieces or labeling them. This is especially useful for novices as they get familiar with each piece. There is also the option to customize power drawbar and the racking option to less expensive options if you don’t have the budget for it by using special g-code macros data and 3D printing. While a full-on modification with manufactured parts can cost you up to $2,000 or $3,000 depending on the age of your model and customizing the parts will take no more than $400 at best.